In its tireless quest to plumb its storied archives, Nike resurrects the iconic Air Jordan 13 silhouette just in time for the holidays. 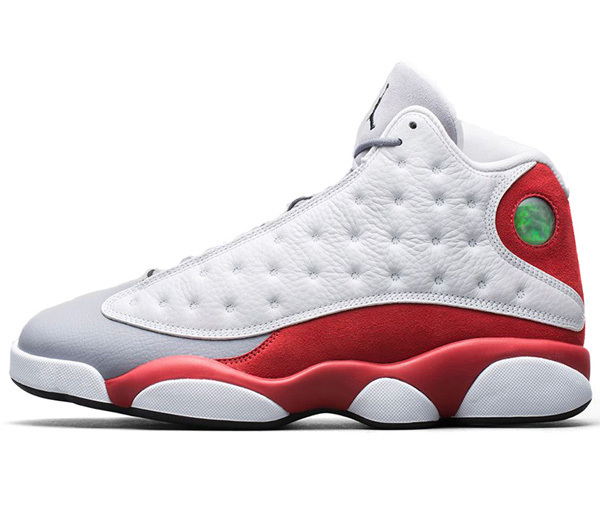 Due November 15th, the Air Jordan 13 reissues get decked out in a color way that dates back to 1998, then called “Grey Toe” but officially referred to as “Cement Grey”. 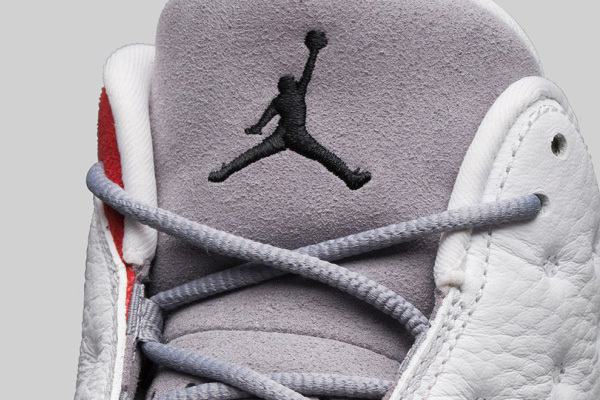 The high-tops feature white quilted leather and red suede on the uppers, with a a grey leather toe. It also gets the Jumpan logo embroidered on the grey suede tongue, matched with the green Jordan hologram panther eye on the ankle. If you want them, act quick when they hit the Nike store this Saturday.